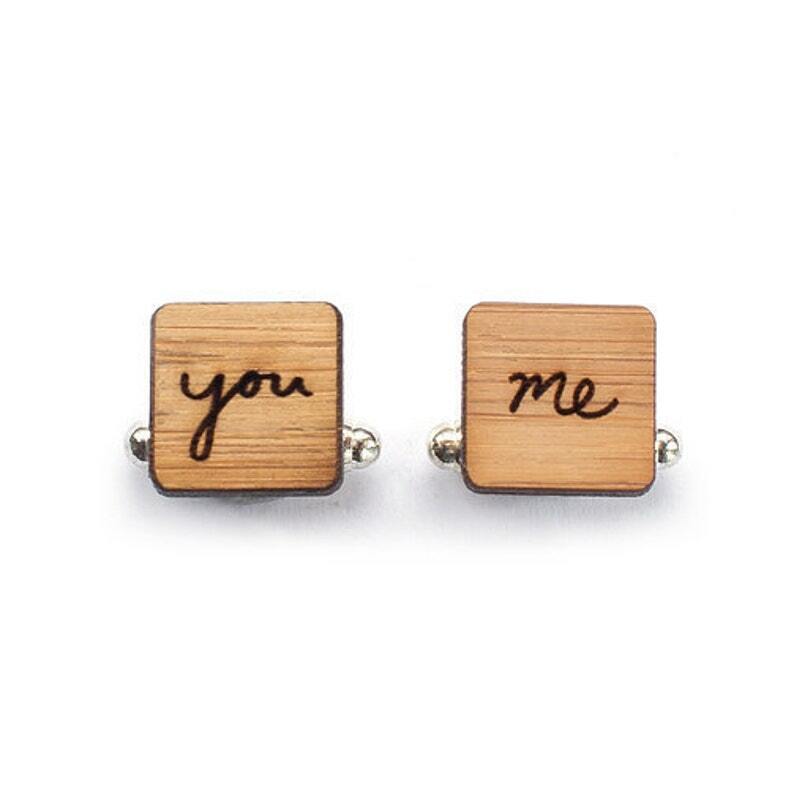 ♥ These "You" and "me" wedding cufflinks are perfect for your groom to wear at your special wedding. What a perfect little gift for someone special. The quality is wonderful, and i love everything about the branding and bamboo. So nice that you're environmentally conscious, and still have the cutest packaging. i didn't even have to giftwrap! i'll be back!!! Is different then what others cuff link my boyfriend already had. I wish the size of the cuff link is a bit larger like 1 or 2 cm. It seem a bit too tiny compare to other cuff link. Overall we like it. I didn't keep track can't remember take how long arrived may be 2 to 3 weeks.